"Creativity Lies Somewhere Between the Known and the Unknown." John Sahag is internationally recognized as a creative innovator in hair design. His pride was in exploring the boundaries of convention and has always approached hair design with sensitivity and creativity of a painter and a sculptor. Hair to him was an artistic medium. His signature method, the Sahag Dry Cut Technique, is a unique discipline which has been perfected and continues to be practiced by the Craftsmen of Sahag Workshop in New York City, as well as stylists all over the world. Each has been trained by our Master Craftsmen that studied under John Sahag. 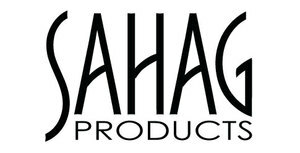 The Sahag philosophy combines precision and accuracy with boundless creativity and imagination. Hair is not merely cut, but is sculpted into shapes that frame and enhance the face and hair itself. Sahag Workshop colorists bring a level of artistry and technical knowledge to the art of coloring hair that is unsurpassed. Each cut’s beauty is enhanced simply gorgeous, natural-looking lush color that truly accentuates the shape and nuances of the cut, as well as the client's skin and eyes. Our methods for cut and color are designed to enhance the integrity and beauty of one’s hair. By Mayumi H. & Amanda E.
Sahag Workshop is dedicated to providing each of our clients with outstanding service following he highest standards of ethics. By focusing on excellence, we aim to impart our philosophy of improving our industry and environment by fostering an inspiring, welcoming, and inclusive atmosphere within the salon. Continuing in the creative spirit of our namesake John Sahag, we are dedicated to discovering new limits in hair design and employing the latest innovations in hair color and care. We believe our clients deserve a uniquely exceptional experience each time they visit our Workshop. We are dedicated to extending incredible service to all of our clients so that they may feel like honored guests in our Workshop. We strive to work with our clients until they are satisfied and do everything possible to meet their needs.